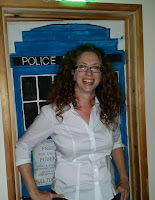 This will be a rather short post, but I did want to talk about writing blurbs. I know a lot of authors tend to think that once they've gotten past the initial query letter, they'll never have to face the horror of condensing their novel into two paragraphs again. 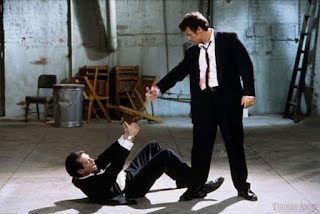 With both the blurb and the query, you're trying to sell your novel, which is long and deep and complicated, in just a few words, and I know that is hard. One thing I did that helped me immensely was browse in a bookstore. I wandered the fiction section and jotted down taglines and blurbs that caught my attention. Then I went home and analyzed them. A good blurb is about communicating the essence of your story to the reader, not the details. Know your audience. If I am writing historical fantasy with nephilim, I want to target people who love history and magic. 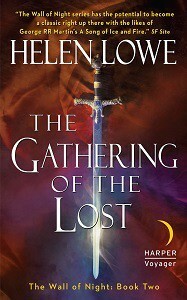 So I will design my blurb around the dates, the conflicts, and the how the magic works. Nail it with a sentence. The biggest argument that I hear from authors is that their story is too complicated. You're a writer. Words is your bizness. Use them well. Know what appeals to your fans and zoom the lens of your words on the aspects of your story that will appeal most strongly to your reader. T. Frohock's three novellas--In Midnight's Silence, Without Light or Guide, and The Second Death--bring to life the world of Los Nefilim, Spanish Nephilim that possess the power to harness music and light in the supernatural war between the angels and daimons. What have I told you in that sentence? The names of the previous novellas, what Los Nefilim are (Spanish Nephilim), how they use their magic (through music and light), and finally the nature of the big picture conflict (the supernatural war between angels and daimons). In 1931, Los Nefilim's existence is shaken by the preternatural forces commanding them ... and a half-breed caught in-between. Here I center the reader in the time period (1931), because this is historical fantasy. I tell the reader all is not well in the world of Los Nefilim (their existence is shaken), and then I zoom the lens one phrase closer to my protagonist and his place within the conflict (a half-breed caught in-between). The word "caught" indicates the protagonist isn't a willing participant in this war. Diago Alvarez, a singular being of daimonic and angelic descent, is pulled into the ranks of Los Nefilim in order to protect his newly found son. Diago is not human, nor is he normal by the nephilim's standards (a singular being of daimonic and angelic descent). He is not in Los Nefilim entirely by choice (is pulled into the ranks), but he has a reason to be there (in order to protect his newly found son). 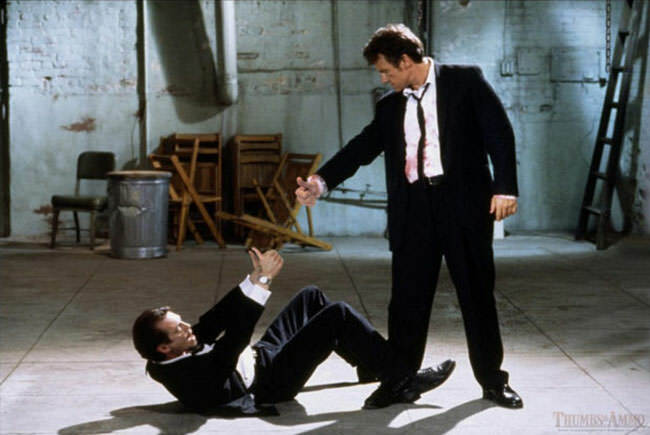 What is the protagonist's conflict? This comes in the last two sentences. As an angelic war brews in the numinous realms, and Spain marches closer to civil war, the destiny of two worlds hangs on Diago's actions. Yet it is the combined fates of his lover, Miquel, and his young son, Rafael, that weigh most heavily on his soul. Here I have reintroduced the angelic war and tied it into the Spanish Civil War while alluding to Diago's role in the course of events. I also introduce the fact that Diago is gay (his lover, Miquel) and that the fates of Miquel and Rafael are Diago's primary concern, which adds a very relatable human element to the story. Lyrical and magical, Los Nefilim explores whether moving toward the light is necessarily the right move, and what it means to live among the shadows. This sentence refers to Diago questioning his decision to join Los Nefilim throughout the novellas. I also like it because it reveals the deeper meaning behind the story: Diago used to live as a mortal, eschewing his magic and trying to be "normal." With his newly found son, he forsakes that existence to join Los Nefilim, although by moving toward Los Nefilim (the angels and the light), Diago is also forced to live less openly. Now he is must move through the shadows of Los Nefilim's various lies in order to hide his true nature from the mortals. Of course the reader won't understand that paradox until they have read the story, but that is part of the hook. A blurb is merely a marketing a tool, but it's a very important one. Know your story, but also know your audience. Above all else, pay very close attention to your word choices so you can make your blurb pack a punch. A Shout-out for "The Wall Of Night" FB Group! 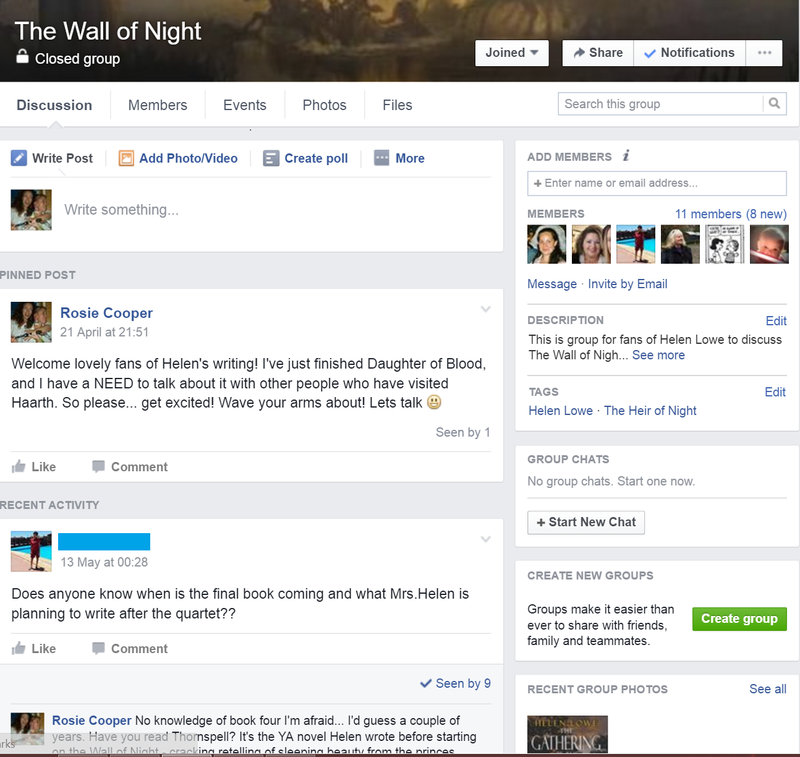 The Wall of Night now has its own FaceBook Group! w00t! It's a hangout for anyone who likes getting together with like-minded fellow readers to discuss books and worldbuilding, storyline and characters -- in this case 'mostly' from The Wall of Night series. 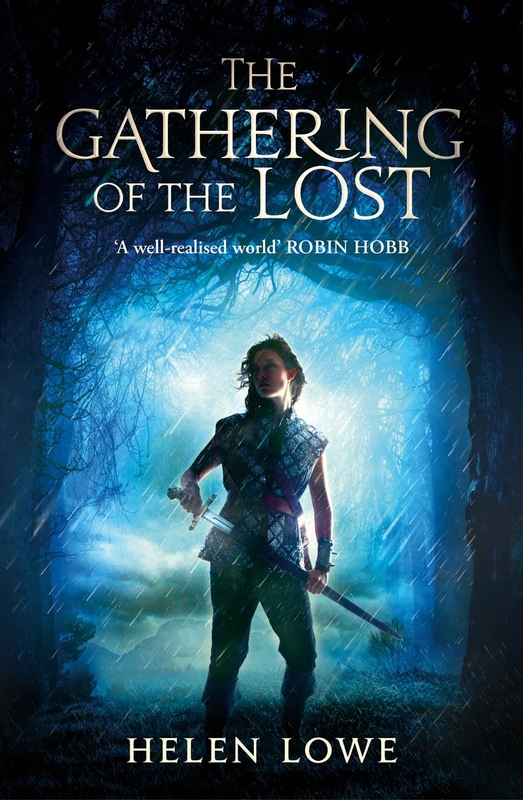 In this case the purpose of the Group is to discuss The Heir of Night, The Gathering of the Lost, & Daughter of Blood with others who've enjoyed The Wall of Night series or may be thinking about reading and want to find out more. What's your take on book trailers? Book trailers have been around since 2006, and present an interesting paradox: They use audio/visual media to promote the textual. The question is, can it work. Book trailers evolve for multiple reasons, not the least because information is now transmitted in speedy, cinematic and downloadable bites. It's almost like going back to the picture book mentality, that stage of reading where we relied on the visual to trigger understanding of the textual. Only this is so much more controversial. People aren’t using social media because they love being sold stuff. They’re using it ... to find entertainment, information and connection. I am fortunate to have Shawn Wilder at MonkeyMe Films as my beautiful Pisces sister AND a fan of Ava Sykes. She's read multiple early copies and knows the story inside out. When it came time to play with trailer ideas, she had them, buy the truck load. The combination of voice and text in the Miriam Black trailer is utterly engaging, and dark, but more like an audio book than a trailer, perhaps? With Harry Potter trailers, Scholatic's budget probably wouldn't have been an issue. And there were the films to pull from. It has a Disney feel. Probably why my inner child likes it so much. I won't encourage a rotten tomato contest here, but if you think we can LEARN something from one that doesn't work (for you) please feel free to link to it in the comments. I also want to see what you do love, and of course, what you think of Ava Sykes. So what's it to be? Book trailer or non? 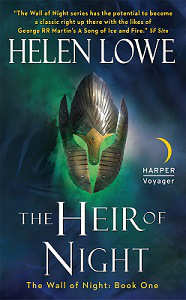 Today being Mother's Day, I thought I'd reprise my take on Three Fabulous Moms of Fantasy SciFi -- because Moms are not only awesome, but awesome Moms are everywhere, right? And should be celebrated. Right on; high five! By the way, I'd love you to tell me your favorite fictional Moms in the comments. 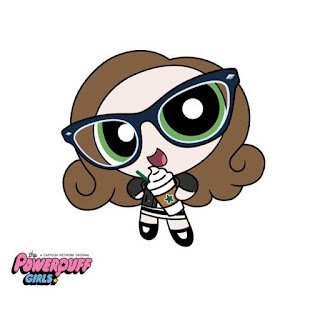 Fantasy-SF Moms would be fan-tastic, but tis not required since we *heart* all fiction and great fictional characters, as well as Moms, here on Supernatural Underground. 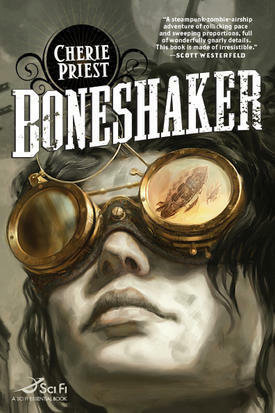 First up is Cherie Priest’s Briar Wilkes in the steampunk novel, Boneshaker. Briar risks all to enter—via dirigible, of course!—the zombie-infested precinct of alternate 19th century Seattle, all to rescue her teenage son, Zeke, who has foolishly ventured there in a quest to find his missing father. Briar is a feisty steampunk heroine, but most importantly, the raison d’etre behind her adventure is first and foremost about being a Mom. 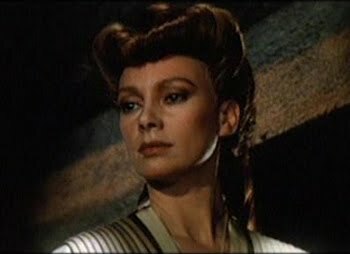 My second fabulous Mom is also a classic SFF character: Jessica from Frank Herbert’s Dune. Her son, Paul, may be the 'official' main character but Jessica gets almost as much air time. What a character she is: strong, resourceful, smart—and a Mom who is determined that her son’s going to survive against extreme odds, even if this means that she has to deny thousands of years maneuvering by of the political/magical Order (Bene Gesserit) to which she belongs. I still recall how much I loved Jessica as a teen reader—her vulnerability and strength, her toughness and love for her son. A Mom and a mover-and-shaker at the same time: way to go, Jessica! 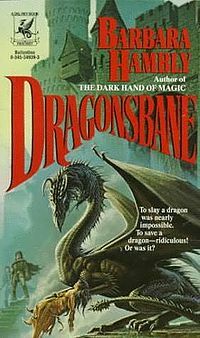 I've chosen the wizard, Jenny Waynest, in Barbara Hambly’s Dragonsbane as my third contender. The thing about Jenny is that she’s struggling with what it means to be a wizard and yet also be a Mom and a partner to her kids’ father, John Aversin. In that sense she’s “everywoman”, wanting to love her kids and be a good Mom, yet still realise herself at the same time. Have a happy Supernatural Underground Mother's Day everyone! Voices have whispered to me for most of my life. The voices tell the most fantastic tales. They talk about magic, love, death, car chases, whizzing bullets, fires, laughter, good jokes, and some really bad jokes. These voices have whispered about distant places like Egypt, Peru, and Budapest. They tell me about places that I've never been, and a few places that I've gotten the chance to visit. In all the decades that I've listened to the voices, I've held to one rule. Trust them and they won't steer me wrong. And so far, they haven't. I started writing stories when I was twelve. In the long years since those first tales, I've written fantasy, high school romance, historical romance, horror, and fairy tales. 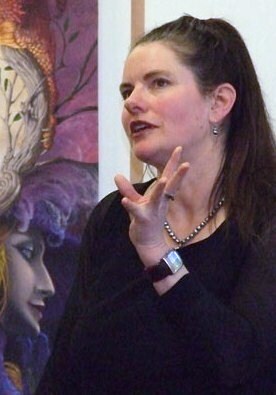 When my first book, Nightwalker, was published, I was writing urban fantasy. Even then, I knew I'd never just write about vampires, even though I love them a great deal. 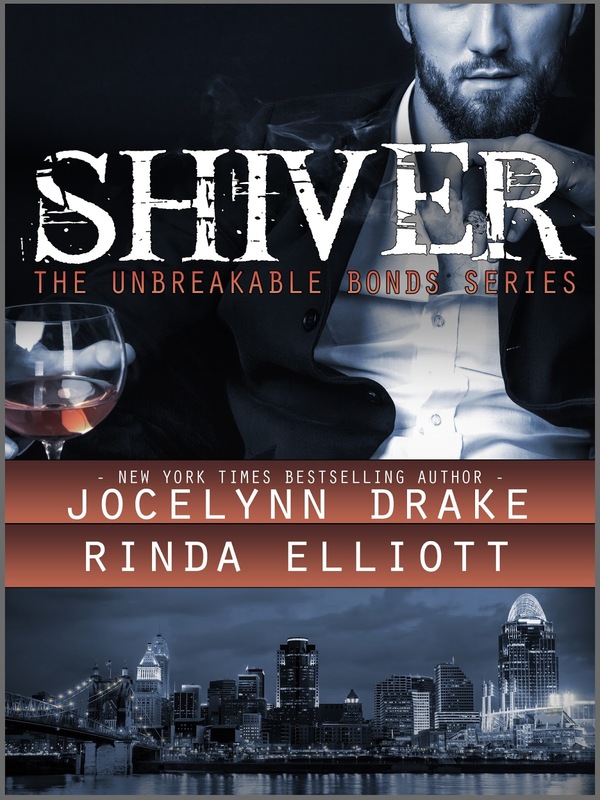 So after I finished with my vampires and warlocks, I wandered into a new genre with Rinda Elliott. 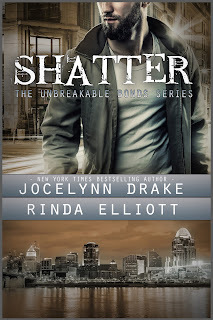 Near the end of last year, we launched a brand new series called the Unbreakable Bonds Series. 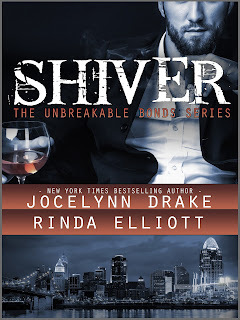 The first book, Shiver, was released in October 2015. 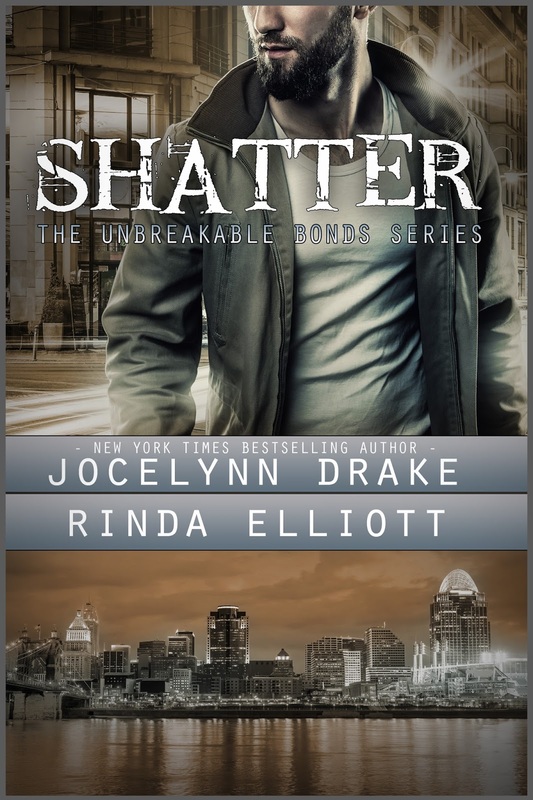 It's a male/male contemporary romantic suspense following the adventures of four close friends in Cincinnati. Rinda and I are hard at work on the third book, Torch, which will be out later in 2016. Working on the Unbreakable Bonds series has been a fabulous adventure, but the vampires have started whispering to me again. The good news is that I will be releasing a spin-off from the Dark Days series a little later this summer called Stefan. Trust the voices. They'll lead you to the most interesting places and introduce you to the most interesting people. Hey, long time no type. April was just a little CRAZY. It was an all thumbs on deck sort of month with teaching and working and writing and mom-ing and breathing. So no thumbs were given. There was once a girl, lets call her Mamanda, who read a short story in class and the popular girls made fun of her. She never read anything out loud ever again until she entered a writing program and she had to. It was the most nerve wracking day of her adult life. As her hands shook, she waited for some one to tell her that she was the worst thing to put ink on a page. But they didn't, because they too were putting their thoughts to paper and knew the courage it took to face the fear of not only public speaking (Introverts Unite Separately!) but also sharing a deeply personal part of your creative self. Mamanda had found her tribe who accepted her, shared a common language and would not think she was insane when she kept talking about Supreme Ordeals and the dreaded Act IIb. Now, Mamanda writes her happy little stories of death and destruction and shares them with the world (or will, soon, my friends, soon). This is the power of Writer's Conferences. This past weekend I was invited to speak at the DFW Writer's Convention and it reminded how awesome it is to be surrounded by people who share your passion for story telling. I've been to Romantic Times and Romance Writers of America, but this year, I wanted to do a few smaller events since I'm between contracts. I met writers in all stages of their journey. I met agents who were really just excited to be there and talk to others about story and arcs and the industry. And I learned! I took a million notes from others just like me who had cracked some part of their story process and wanted to SHARE it with others. that was the major thing. Everyone was just so damn supportive of good pitches and new deals and completing a manuscript. There were THUMPS UP all over the place. I walked out of that conference with more gusto about writing than I have all year. And completely unable to talk for three days due to human interaction overload, but my brain was a firing! So this month's Thumbs Up goes to : Writing Conferences, equally exhausting and exhilarating. If you are an aspiring writer or an accomplished one, just give it a chance. You never know -you might sit next to your new tribes-person. 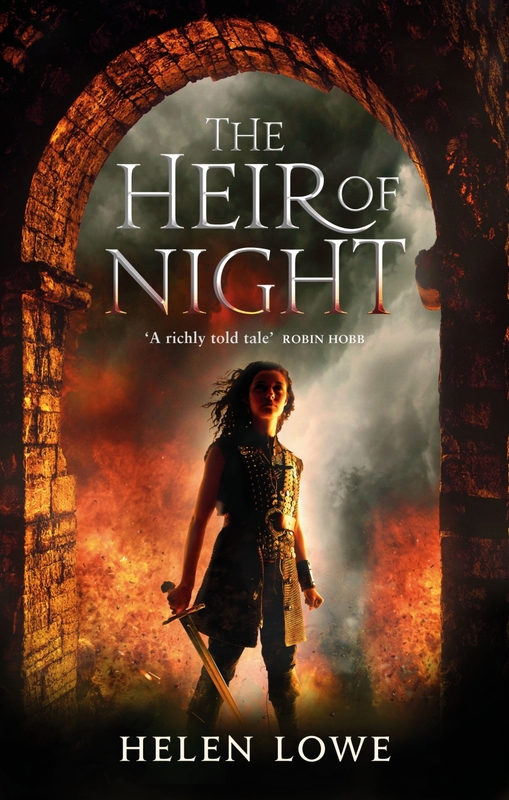 Last month, I maintained that despite The Wall Of Night series being epic fantasy, the story still contains romantic moments — and checked out Five Romantic Moments to prove my point. "Garan just doesn't like to miss an opportunity to kiss a pretty face," said the guard Lira, who had a darkly pretty face of her own. "And I am much the same!" she added, stepping up to Tarathan and kissing him on the mouth. The herald looked startled for a moment, but then he laughed and kissed her back. She laughed, too ..."
"The ghost of a smile caught at the guard's lips, but he had to bend even closer now to hear her whisper. " ... kiss ... farewell ... "
"I would be honored," he replied softly, "to kiss one so valiant and so true." The ghost smile deepened for a moment as he kissed her, very gently, on the shadow of her cold mouth. Her lips parted as though to speak again, but no more words came." 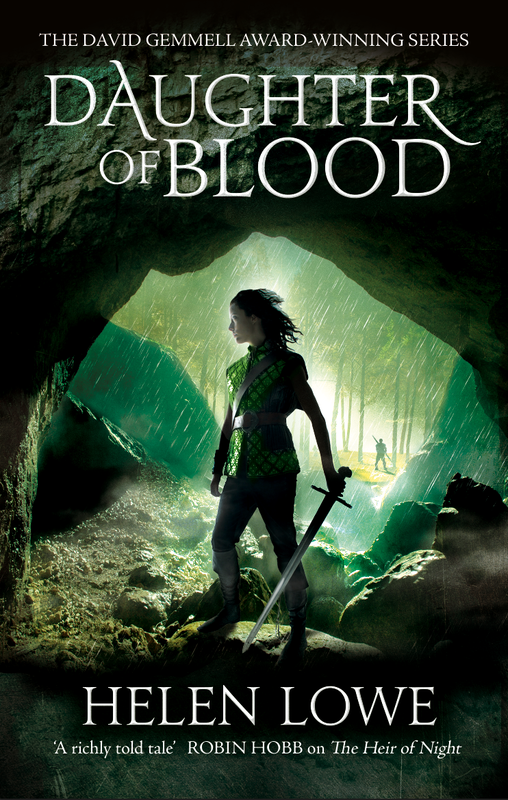 "The bloom was of a kind that grew wild along every roadside and was already starting to wilt, but he worked it into the knot of ribbon around his arm—Ghiselaine’s colors, which reminded him to turn and raise his sword to her, where she sat at the Duke’s right hand ... She bowed, smiling, and the crowd cheered—and cheered again when Ilaise leaned forward and blew him a kiss." "Tarathan lifted her hands to his lips and kissed them, the touch of his lips warm against her skin. And then his arms were around her, drawing her close. She could feel his heart beating: sure and strong, she thought, listening to its rhythm, strong and sure. Beautiful, the moonfire sang, and dangerous ..."
"Just as well Eria isn’t among the elect then, Garan reflected. Otherwise she could not have kissed him the way she had, the day he departed for the River ... Garan, who had been conferring with Asantir, was the last to reach the gate—and at the final moment Eria had come running, swinging herself up by means of his saddlebow and one foot resting on his in the stirrup, to kiss him on the mouth." Proof positive, I hope, that a story can be epic and still be romantic!